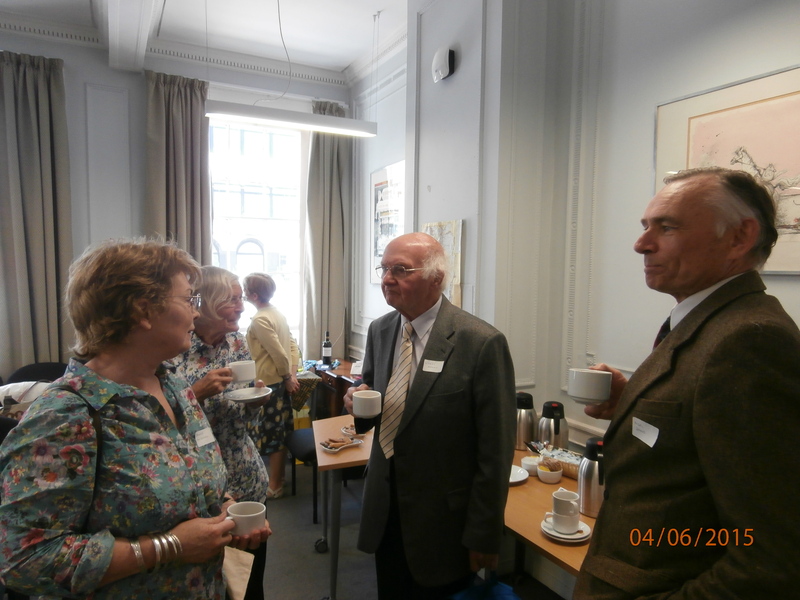 Here is my mini-report on our AGM and Reunion lunch. 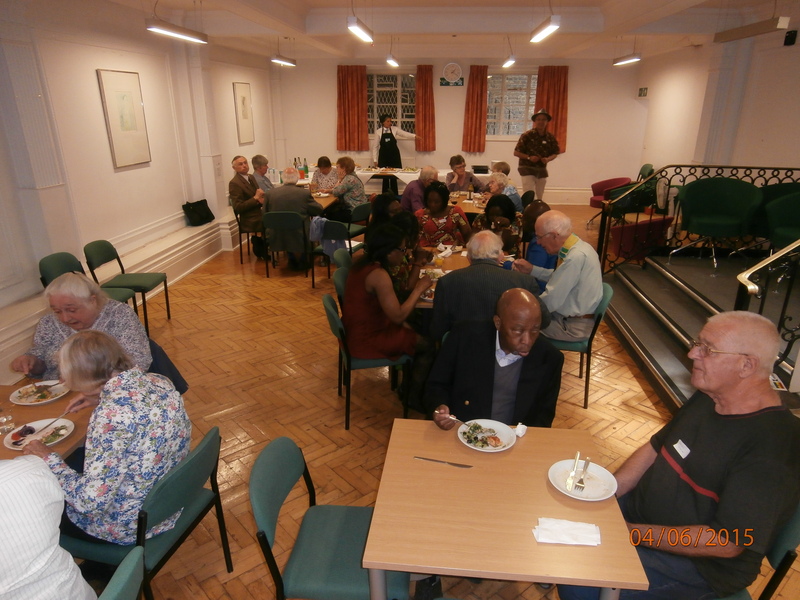 Thirty-three people were there for lunch, some of whom had sent extra money as donation, and many others had sent apologies – AND donations! 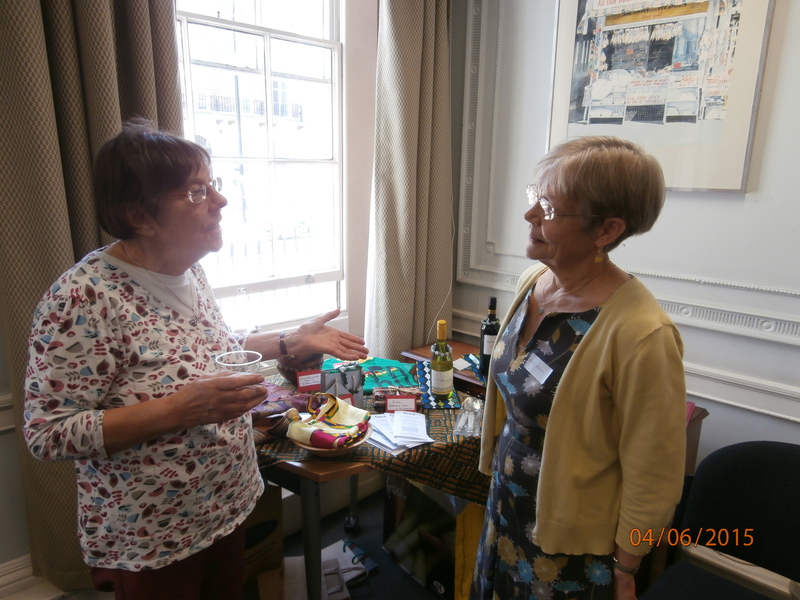 The event is in fact a major fund-raiser for us: donations amounted to £913; we also held a raffle (£92.75) and we auctioned a long and lovely piece of wax-print cloth (£50), making a total of £1055.75. To this will be added any funds left over from registrations after we have paid for the room hire and catering. So thank you everyone for your wonderful generosity. If you were there, you will have seen how much that generosity means to the recipients of the grants we give. We had reports from a number of projects and we went through the list of projects we supported in 2014-2015. We also studied a beautifully-formulated application from Takpo Senior High School (Upper West Region) which is seeking funds to add to what their PTA is providing, in order to secure and mechanize the provision of water to the school. We decided to seek a little further information about how the funds can be transferred, but the meeting endorsed the application, which will be finally voted on by the GSA committee when it meets in September. You can read our Chairman’s report as another post on this website page – Ted Mayne lay particular emphasis this year on the importance of educating and educated women, and this chimed well with Patrick Heinecke’s report on challenging the tradition of punishing widows for the deaths of their husbands (Northern regions of Ghana), with the efforts of the Association of Ghanaian Nurses and their library project at Hia, and with several of the influential Ghanaian women who attended the meeting. We were delighted that Lord Boateng came in the afternoon to add his voice and encouragement for the work we do. 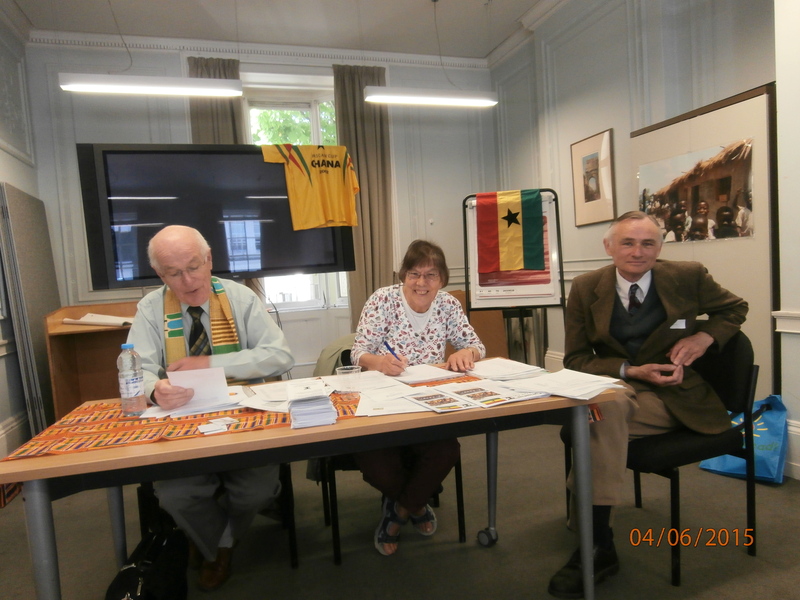 The great majority of participants had vivid and direct memories and experience of Ghana, a country we all love, but we are concerned at the difficulties being encountered due to frequent power cuts. We would love to find a reliable company in Ghana which could install and maintain solar panels and service the power storage equipment. The committee was re-elected nem con – thank you for your confidence in us – and we will be welcoming a new Ghanaian colleague on to the committee as we move forward into the next year. 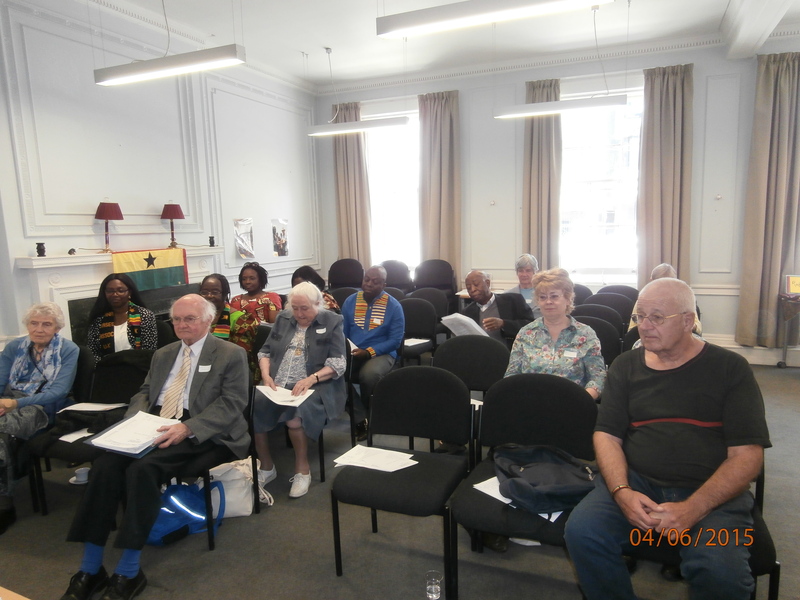 Here are some pictures taken at the AGM. This entry was posted in News and tagged AGM-2015 by Penny Sewell. Bookmark the permalink.